The South African Hockey Association has released the names of 22 players to participate in the South Africa versus Malaysia four-Test series that will take place in Potchefstroom and Johannesburg from next week. The SA team is: Rassie Pieterse (Southern Gauteng), Jacque le Roux (Western Province), Gowan Jones (KZN Coastal Raiders), Austin Smith (WP, captain), Francois Pretorius (Northern Blues), Ashlin Freddy (WP), Rhett Halkett (WP, vice-captain), Ricky West (SG), Lance Louw (SG), Jethro Eustice (SG), Jonty Robinson (NB), Clint Panther (SG), Wade Paton (KCR), Tim Drummond (KCR), Nic Gonsalves (NB), Taylor Dart (SG), Julian Hykes (SG), Taine Paton (KCR), Craig Haley (WP), Matt Botha (SG), Pierre de Voux (WP), Miguel da Graca (SG). The first three Test matches will take place at the University of North West Hockey Centre in Potchefstroom. The opening Test is at 5 pm next Thursday, June 6; with the second Test at 3 pm on Saturday, June 8; and the third Test at 3 pm on Sunday, June 9. The fourth and final Test will be played at 7 pm at the Randburg Hockey Stadium on Tuesday, June 11. 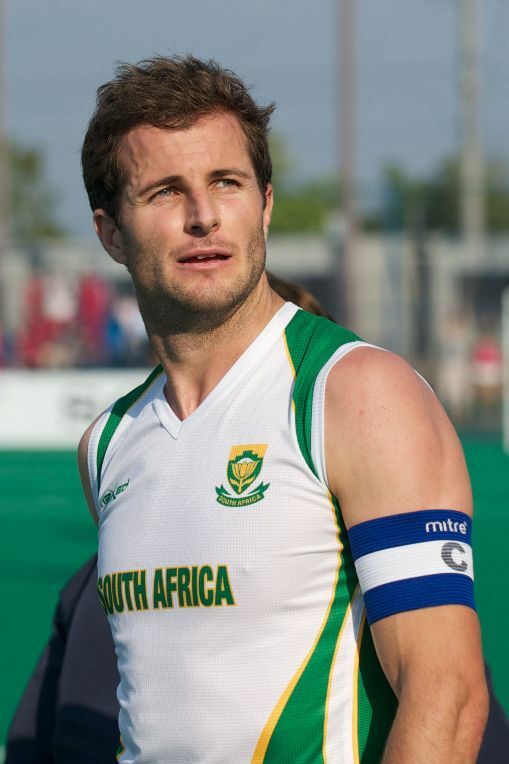 The SA team will be captained by double Olympian and 114-Test veteran Austin Smith with Western Province team-mate Rhett Halkett, a London 2012 Olympian, his vice-captain. Commenting after the announcement, which concluded the five-day national training camp involving 40 players at the University of Johannesburg, SA head coach Charlie Pereira said that the camp had gone off very well. Regular captain Smith is back in the job after Halkett took over for the World League Round 2 tournament in Rio de Janeiro, Brazil three months ago. Of the 18 players who went to Rio, 16 retain their places while Matt Guise-Brown of UP-Tuks and Northern Blues is in the University Sport South Africa team for the World Student Games in Russia, which overlaps with the SA national team’s participation in the World League semi-finals in Malaysia in June/July. The Malaysian national team have just come off five matches in Malaysia and will be more than match-ready for the first Test. – unlike the large majority of their rivals in the world top 20. Pereira said the 18-player SA team for the World League semi-finals in Malaysia will be announced after the series against Malaysia and will be picked from the 22. Lloyd Madsen and Justin Reid-Ross, two of South Africa’s key players in recent years – both London 2012 Olympians and 2010 World Cup and Commonwealth Games veterans – are not in the team. “Lloyd and Justin were unavailable to attend the camp and therefore made themselves unavailable for selection,” said Pereira.